Canine Influenza is in the news again...recent outbreaks were believed to have originated from dog shows in Georgia and Florida and from an import of rescued dogs from Asia in California. The strain of virus causing the outbreak on both coasts is the H3N2 strain that we saw originate in Chicago in 2017. The canine influenza virus can be contagious from dog to dog for up to four weeks and can persist in the environment for a week. It is easily killed with bleach and other disinfectants. There is a vaccine available for the H3N2 strain. Like the human influenza vaccine it cannot offer 100% protection against infection but it does give good immunity to most dogs receiving it. It has to be boostered in 2 to 4 weeks the first time it is given. This vaccine is not considered a "core" vaccine and so is not typically included in a set of annual vaccinations, but is recommended for dogs who come in frequent contact with other dogs (for example at the dog park), board or travel with their owners. 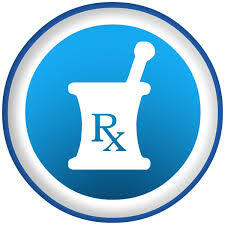 We require this vaccine for any dogs that board in our facility. 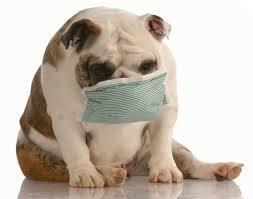 If you are unsure of whether your dog is vaccinated for influenza feel free to give us a call. 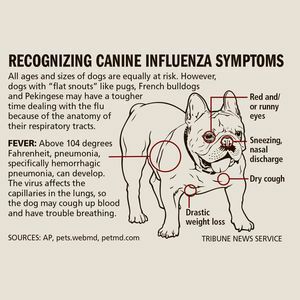 Canine Influenza symptoms are similar to flu symptoms in people. Lethargy, inappetance and cough are common, followed by fever. These symptoms may be mild or sever, depending on your pet's immune system and usually subside in 7 to 14 days. Because the flu is a viral infection supportive care with fluids and pain medication are all the pet needs unless he develops an underlying bacterial infection. A few dogs who develop a bacterial infection will progress to pneumonia, but these are exceptions and this is more common in very old or young dogs or those with respiratory issues. While the flu is rarely life-threatening it can be in some very compromised pets, just like the human flu virus can be life-threatening in some people. It appears that people can't get canine influenza from dogs, although it has been reported that a few cats have contracted it from their canine friends. There is no vaccine for the virus that is safe for cats. 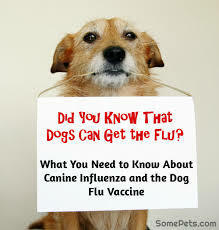 Vaccination for Canine Influenza involves 2 vaccines given 2 to 4 weeks apart. Good protection is not complete until 2 weeks after the second dose, so it is important to plan ahead when boarding. If you travel with your pet it is important to know that many cases have been reported in Dallas and Austin, TX. If you are traveling to or through these areas vaccination for the flu is recommended.